Does this count as German? I’ve always been a huge fan of the Smart Roadster. The legendary designer, Gordon Murray (guy who designed the McLaren F1 among other things), used to daily one. His was actually a Roadster-Coupe (which is cooler), but close enough. The reviews said it (the actual car) was rubbish, and that we should all buy MX5s/Miatas, but just look at it? It’s a stand-out piece of design, and it’s pretty much the coolest thing Smart has ever done. The cast is a 1/64 (I think), and is probably the nicest I’ve seen from Maisto, who are generally terrible (their 1/18s are okay). Could it be nicer? Sure, the detailing is a little off. 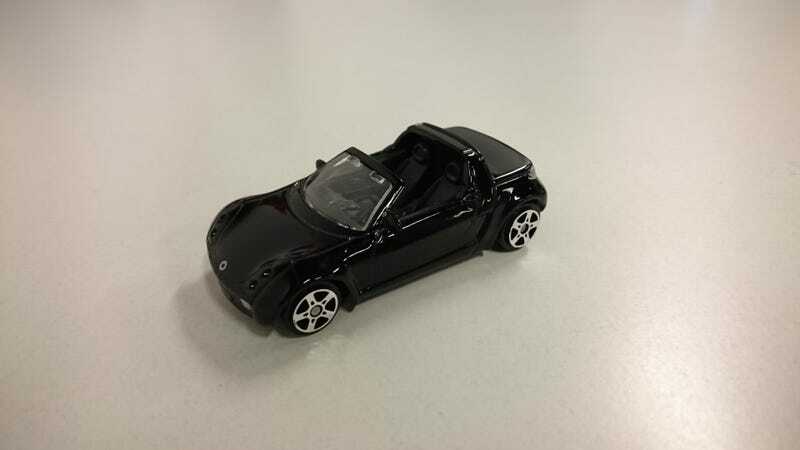 The shape is all right though, and I’d never seen a Smart Roadster of this size before, so I snapped it up. It’s a prime candidate to be one of my first customs, but I didn’t even know that was a thing until this year. I think I’ve had it for several years now.